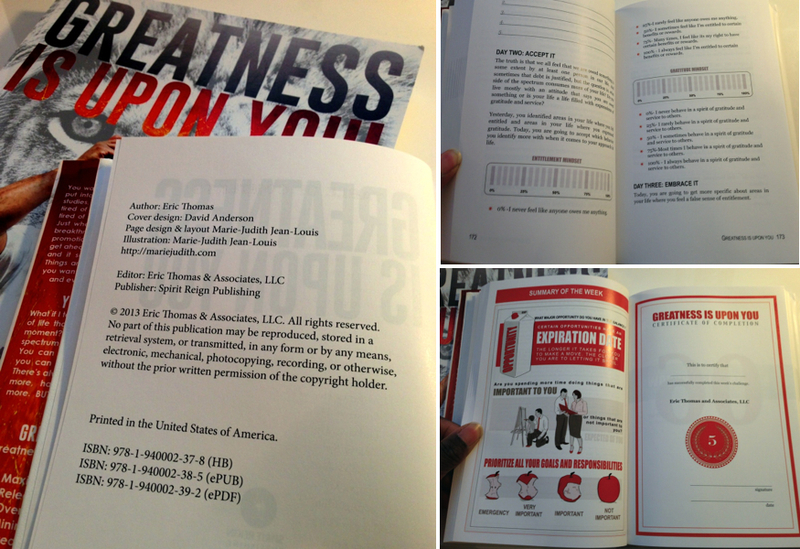 If you bought ET's Greatness is Upon You book and workbook, you might have noticed my name in the credits. That's because I was fortunate enough to work with his team in the production of the books last year. I did the illustrations and created the layout for both the book and workbook. It still a little surreal to hold an actual copy in my hand after working on it on the computer. Just a couple months ago, I thought it would be cool to create some sort of day planner with ET after watching his TGIM videos on YouTube and next thing I know, a couple months later, I'm working on something similar to what came to my mind! 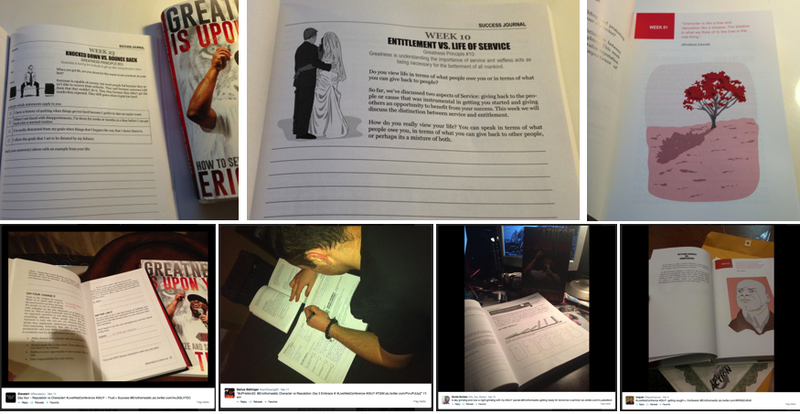 It's even more surreal to see people tweeting photos of them using the book and workbook. I'm glad I got a chance to contribute to this project and get to add one more check mark on my creative list. Hopefully I'll get to do this again.